Our newly developed BioBracelet fits nicely into our collection of products for travelling or in the office. 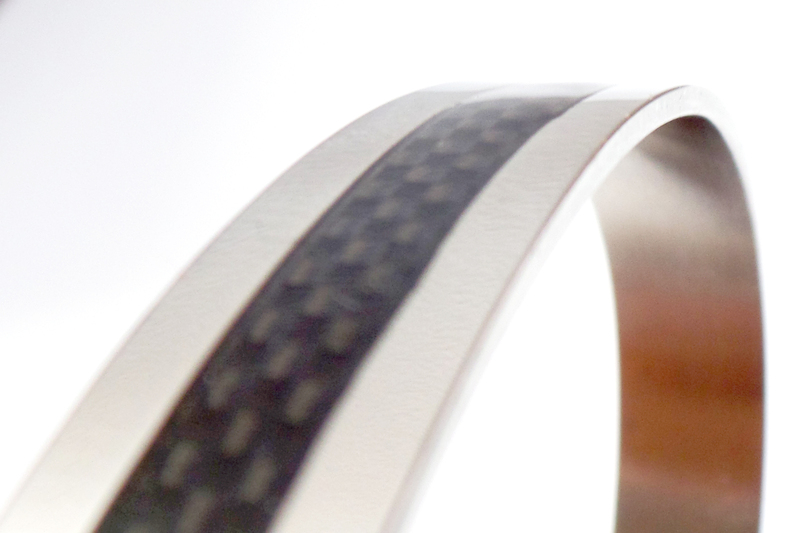 We see it as a more elegant alternative to the carbon fibre BioBracelet. The effect that it has on the body has been extensively tested and found to be the same as its predecessor. We do not want to ignore the possibility though that it has a much better effect on the wearer due to its design. The BioBracelet 2.0 has been scientifically proven to work by the Institute for Resonance Phenomena. 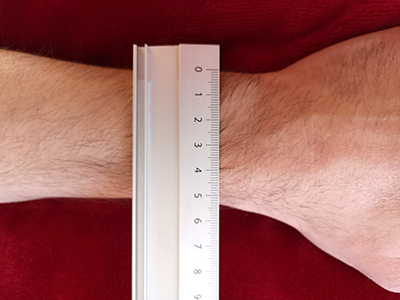 Please choose the correct size for your wrist by measuring the width of it (in millimeters) and adding 5mm to the total. 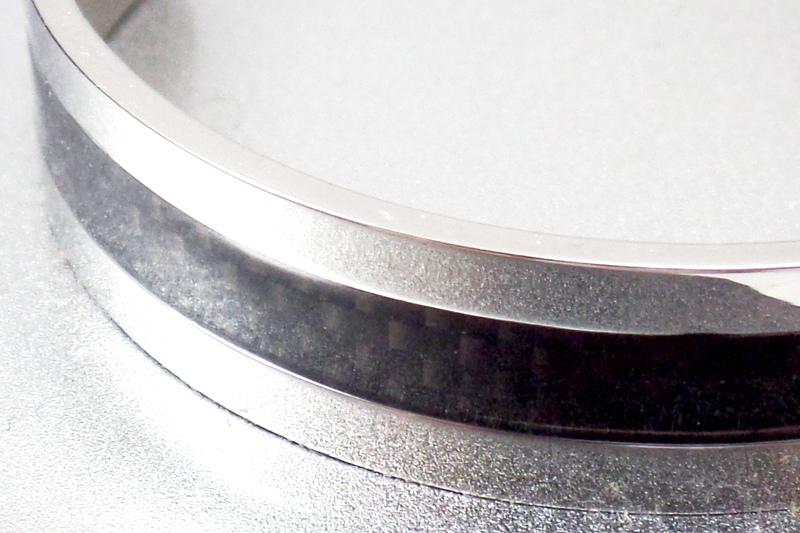 This is how it’s done: In the picture the width of the wrist is 54mm. You then add 5mm bringing the total to 59mm. 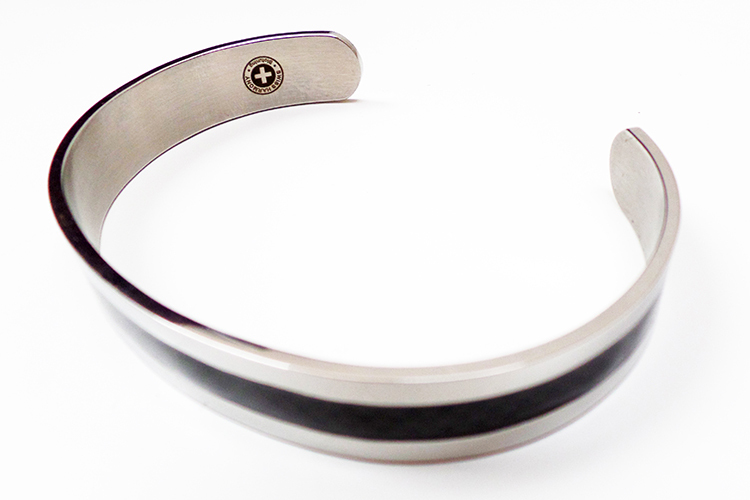 The closest size to that is the 60mm BioBracelet, which should fit perfectly. Don’t worry, if you get it wrong we are happy to exchange the bracelet for the correct size. The Swiss Harmony BioBracelet 2.0, just like its predecessor, helps effectively to neutralise the negative effect of electrosmog. It produces a harmonic field in your body in which inharmonic frequencies can not resonate. This lets your organism effectively ignore any influences that the electrosmog may have on it. 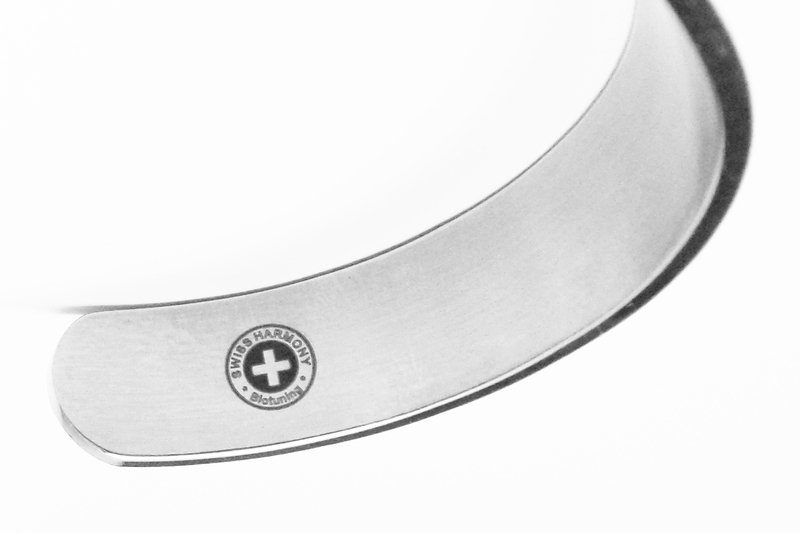 The Bracelet consists of stainless steel with a 4mm wide inlay of carbon fibre.